Varanasi, also known locally as Banaras is situated on the banks of the river Ganges in utter Pradesh, India. It is also called as the city of lights and is known to be one of the most sacred places for many Hindus. It is also said that this city is one of the oldest in the entire world. The river Ganges is known for its outing and the city has also chosen its culture based on the rivers purity and religious belief. Most of the prominent poets, writers and philosophers have been born in this part of the city. It is said that the entire city is blessed by gods, making it all the more popular for the common man of India. 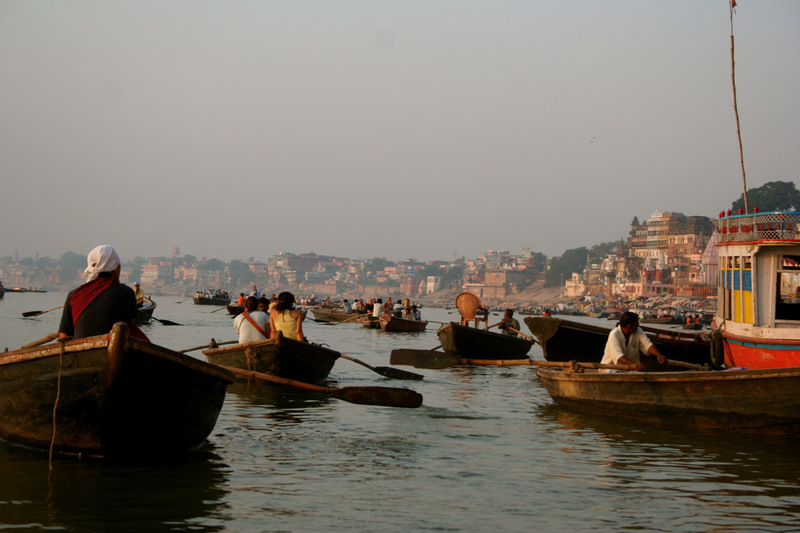 In fact, the origin of Ayurveda has also been associated with Varanasi. Followers of the Hindu community call this place the religious capitol of India. One can find thousands and thousands of temples in this city. According to legend, the city was found some 5000 years ago by lord Shiva and thus is one of seven pilgrim destinations for Hindus. The city of Varanasi is known for its Ghats. It is said that the city owns almost 100 Ghats, some of them being owned privately. Some of the famous ghats of Varanasi are the Dashawamedh Ghat, the Manikarnik Ghat, Harishchandra Ghat and the Mana Mandir Ghat.It is estimated that more the 1,000,000 pilgims visit the city on a yearly basis. It is a belief that bathing the river Ganges will wash away all your sins. Lovely city but not all that ancient as the original city was destroyed by the Mughal emperor Shah Jahan, the same guy who built the Taj Mahal. The ‘pure’ and ‘sacred’ river Ganges is more like an open sewer, containing dangerous quantities of human excrement. I used to live there and for all that I love the place to bits. Ganga is a very sacred river. Ganga is said to have originated from Shivas Head. love my city…it is the oldest city of world..city of lord shiva..one gets all his/her desire fulfill coming on this sacred land.. I have only seen pictures of this river but it looks pretty dirty to me. I understand that people believe the river will wash away sin if you bathe in it, I personally would worry about disease. Christ Jesus washes sin away and all you have to do is ask for his forgivness.